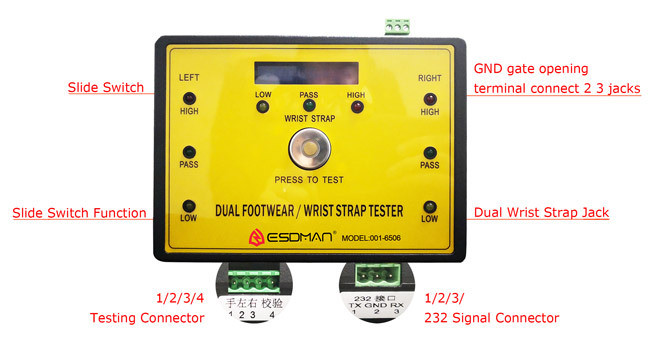 ESDMAN_ 001-6506 This instrument is produced according to ISO/CD8782-1 standard , test ground resistance of hand & feet, there are LED display & alarm. It is an absolutely necessary tester in static control industry. ESDMAN-6506 uses 9V battery , low voltage and safety. User can easily adjust the height of tester. 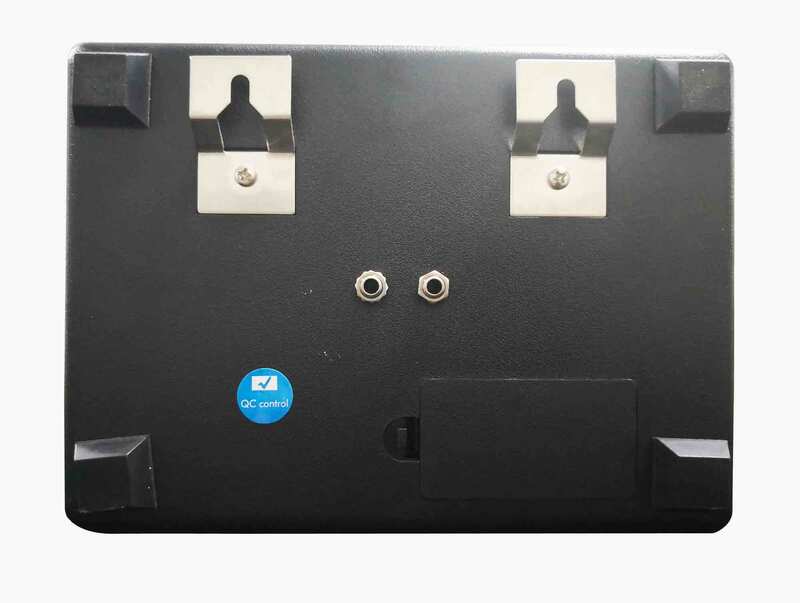 This instrument is produced according to ISO/CD8782-1 standard , test ground resistance of hand & feet, there are LED display & alarm. It is an absolutely necessary tester in static control industry. ESDMAN-6506 uses 9V battery , low voltage and safety. User can easily adjust the height of tester. 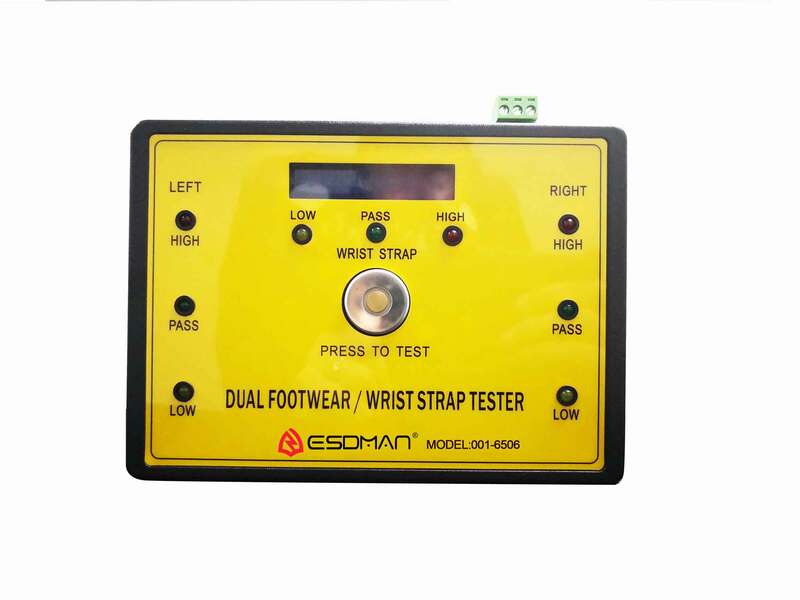 When press the test button ,test results within 5 seconds will be shown on the LCD screen ,if the press time is larger than 5 seconds,testing will be stopped automatically.Do not press the test button heavily.The test procedures are very simple and easy: Operator stand on the footplate with heel grounder or anti-static shoes,connect wrist strap and plug socket or alligator clip into the wrist strap jack,then press”PRESS TO TEST”button,LCD screen will tell you the test results. Testing OK comes with beep sound and opening gate signal,operator need to push gate to enter.If testing NG need to check footwear or repeat the testing procedure. Left+Foot Strap(Both):Need both foot straps tested pass to give signal opening the gate.